How do children learn; and how can their environment help or hurt that process? The answer to both may lie in the first years of our lives. Casey Lew-Williams is on the faculty at Princeton University and co-Director of the Princeton Baby Lab. He talks to us about the best ways to support children’s growth, the impact of poverty on early learning, and why the most sophisticated educational toys are often less effective than simply playing, talking, singing, and cuddling. My core area of interest is finding out how children and infants learn, especially how they learn language. Our education begins on the first day of our lives and relies on two factors: one is the human ability to detect and remember patterns, the other is our interest in other people. Understanding the interaction between these two components can really help us understand learning, and critically, our experiences play a big role in shaping how learning gets off the ground in infancy. How does early learning work? Learning initially relies on finding patterns in the complex information coming your way, such as words in language. Infants have an amazing capacity for that. The moment they are born, they see their parents or other adults doing things like moving their mouth and eyes, making sounds, and offering them comfort and food. And they get hooked. They attach. And with people by their side, they start navigating through the millions of bits of data arriving to their eyes and ears at every moment. They find structure in it, they learn, and they gradually become ever-better learners. The experiences we have in life are a very important part of this equation. If you are growing up in a family with access to high-quality education, nutrition, and other resources, you are more likely to grow and develop in way that maximises the potential of your brain. If you are born into more deprived circumstances, this learning process can happen differently or more slowly. So poverty can affect learning? Infants born into poverty face a lot of challenges. For example, studies in the US have shown that in wealthier families, children hear tens of millions of words in the first 4-5 years of their lives. On average, children growing up in poverty hear far fewer words, in some cases, only one-third compared to wealthier children. Language is not only one of the most complex skills we learn as humans, it is also a key ingredient for learning the complexities of other skills, such as reading and math – and even our social lives. But it’s important to note that delays in learning can be overcome in some circumstances. For example, speech therapy can help a child catch up with language skills. 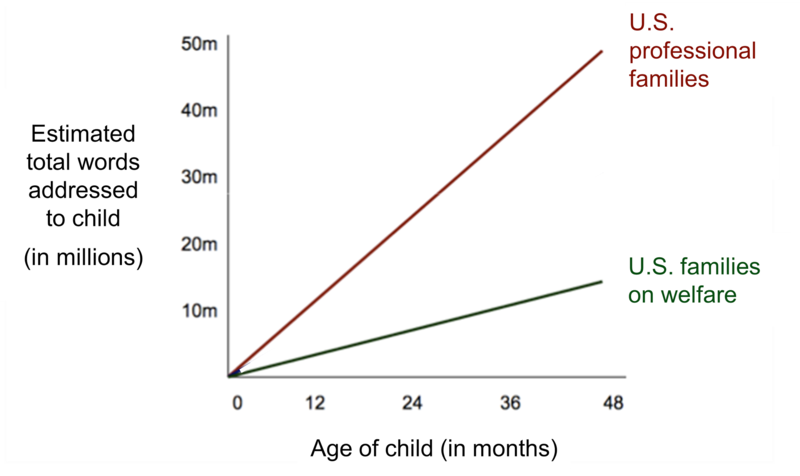 But it’s also important to note that there are lasting consequences of early adversity. For example, recent research shows that if you are a child living in poverty, the frontal and temporal lobes of your brain can show developmental lags. These regions control things like learning, regulating emotions, information processing, and memory. What can families in difficult circumstances do to support their children? Play is crucial. Parents don't need to own lots of toys or buy lots of things. If a child has access to some sticks and some rocks and an adult to play with, great things can be achieved. 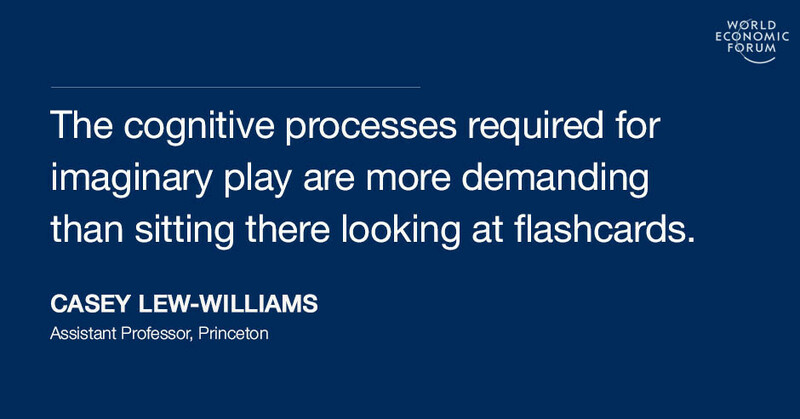 The cognitive processes required for imaginary play on the playground are more demanding than sitting there looking at flashcards. For younger children, it can be as simple as rolling a ball across the floor, talking and singing to your baby, and cuddling. It's about showing the baby how fun it is to be with another person, and how communicating with others is rewarding. Live interaction is better for learning than passively watching TV, which is why some medical organisations now recommend no TV viewing for the first two years of life. 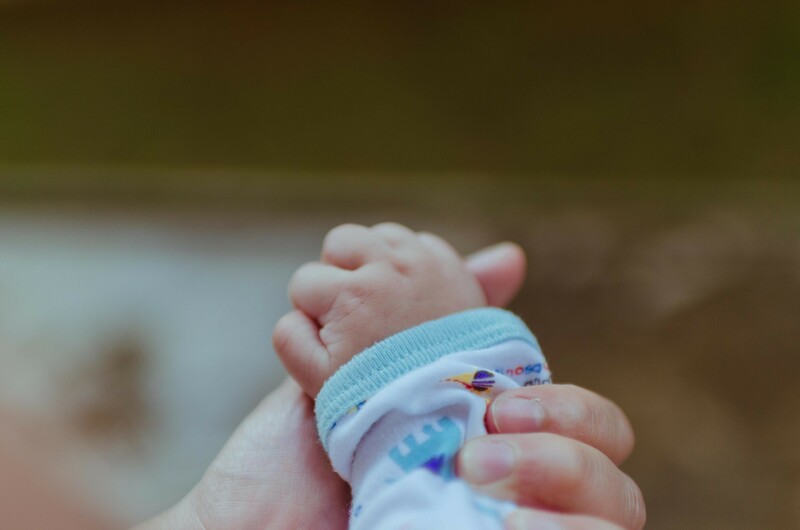 Parents often don't realise that education starts so early and that they play such an outsized role in getting learning started, even when they have a new-born. "More play" sounds like an amazingly simple solution. What are the challenges? Families who have to struggle to make ends meet – those who have less money and less education – often do not have as much bandwidth for their children. It's exhausting to be a parent in any circumstance, but it's much more exhausting to be a parent when you don't have the resources that other families have. Often, they are juggling multiple jobs, they may not have access to reliable transportation, banking, healthcare, and there is greater incidence of problems such as stress or depression. This does not necessarily leave time and energy for sitting down every day and engaging in high-energy interactions with your baby. But if they do, it can make an enormous difference. If you think about this at the neural level: in the first years of life, we have more neural connections than we’ll ever have again. We lose many of them over time, which is actually a sign of learning. The connections that matter remain strong, while the others dissipate. Healthy neural development is sculpted by high-quality interactions and play. And infancy is the time to help the best connections form. What can society do to help early learners and their parents? First of all, there are some amazing organizations and nonprofits out there that do excellent work to help support the needs of families. And science can help too, in the form of rigorous interventions. One successful programme is the Thirty Million Words Initiative at the University of Chicago, which offers parents a crash course in child development. Parents find out what science says about early learning, and how they can enhance their children’s learning and educational outcomes. More broadly, I'm surprised that politicians don't jump more onto the science of early learning as an important tool for tackling some of society's biggest problems. We should invest much more money in programmes for families with young children. If we want to make serious progress on issues like income inequality, we need to think more about infants.